I Love Summer Flowers - When I asked on our Facebook page for the one flower that signifies summer then Sunflowers were the Top Favourite summer bloom, but other top picks were Gerberas, Hydrangea, Dahlia, Delphinium, Lisianthus, Celosia and of course Roses - There is a huge choice of gorgeous lush summer flowers to fill the senses and delight the recipient. Here is our Top Choice of our summer bouquets and of course remember as a florist we work with such special seasonal product so all our bouquet choices will be incorporating fresh summer seasonal blooms in your deliveries. 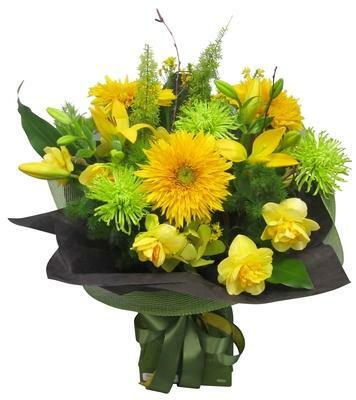 For same day delivery in Auckland - Order Business addresses before 10.15am, Home address cut off is 2.15pm and of course you can send flowers on a future date. Saturday same-day delivery order by 10am. Summer in New Zealand is December to February - Ahh Bliss... The perfect time to Send Flowers!